Planning any upcoming travels, getaways, or vacations? Then take advantage of the deep discounts on hotels, cruises and other travel that IFA members receive through their IFA membership. It’s convenient and gives you the ability to check rates and book your travel on the spot. 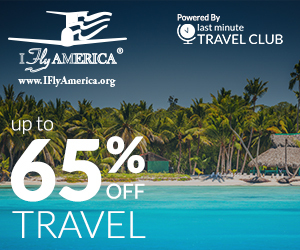 Save big on time and money with IFA’s Hotel, Cruise and Travel Discount Program – your one-stop travel shopping spot! You have probably taken IQ tests. Now, just for fun, take this I Fly America FLY-Q test! Video: What happens when a drone hits an airplane wing?